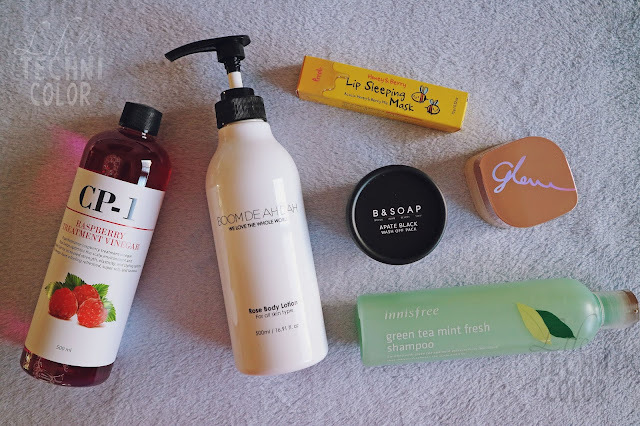 I've been purchasing a lot of beauty and skincare products since discovering Althea Korea a few months ago. In fact, this is already my second haul from them - you can check the first one here. 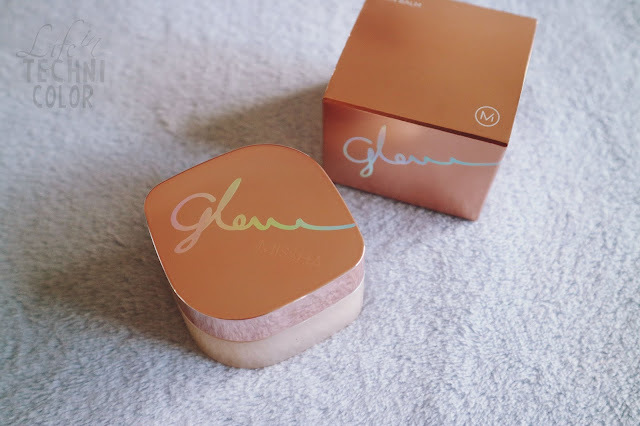 For those who don't know, Althea is a site that provides all your K-beauty fix at an affordable cost. Say goodbye to frustrating language barriers, expensive shipping costs, and limited information on skeptical products. 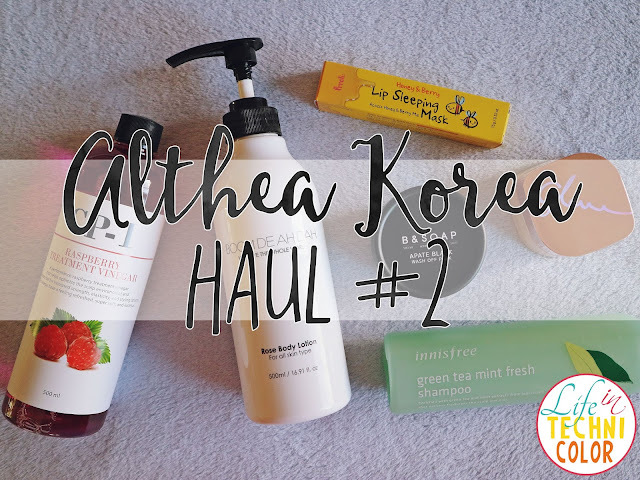 Althea is here to provide you with a one-stop shopping experience that houses all of your favorite K-beauty products no matter where you are in the world. Althea works directly with the brands, so you can guarantee that everything they sell is authentic. And since there's no middle men involved, expect that there won't be any crazy markups as well! You can check it for yourself. Compare mall prices (and perhaps online stores) with Althea.. you'll see what I mean. I've honestly never heard of the brand but I'm always open to trying products that target large pores. Charcoal has been around for many, many years and its powers of purification and toxin-absorption are well-known across the world. 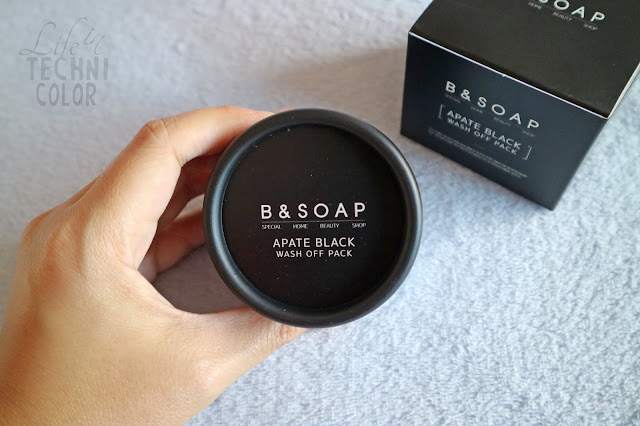 This mask pack from B&Soap gets its dose of goodness from Scoria found in Jeju Island which is rich in charcoal and mud to really get into those pores and clear them out. It also contains moisturizing and hydrating agents that help prevent moisture loss from the skin. Great for those looking for pore-care and minimization, this pack gently exfoliates and cleanses out without drying them out, leaving you with balanced skin that’s soft and clean. This charcoal-based pack is supposed to draw out impurities and exfoliate away dead skin cells. It can also keep the skin clean and hydrated for a balanced, healthy complexion. And the best part? It's cruelty-free!! Can't wait to try it! 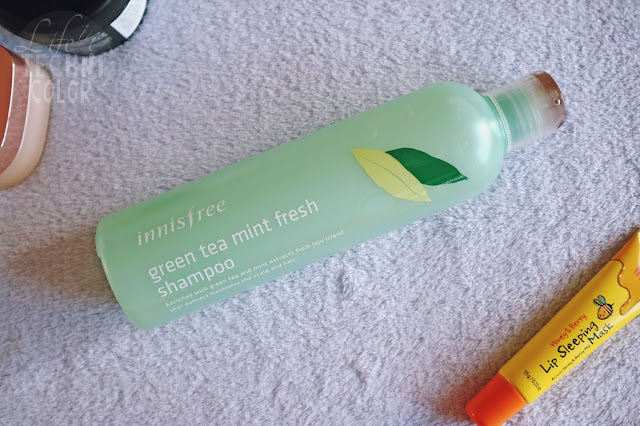 Innisfree’s Green Tea Mint Fresh Shampoo is a sebum-control hair wash that is formulated with a combination of Jeju green tea and mint extracts, and lathers up richly to remove dirt off your scalp and hair. It is also silicone-free, so you don’t have to worry about your hair being dried out. Instead, it provides your scalp and hair with the hydration it needs. Of course, its minty formulation gives off a tingly sensation that both feels refreshing and smells amazing after! 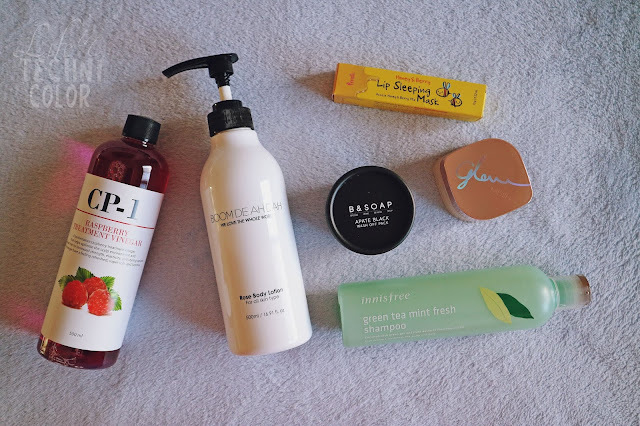 The green tea extract is rich in amino acids and minerals to ensure hair stays moisturized and healthy, while the mint extracts refreshes the scalp (the main reason why I bought it!) and removes odor while aiding in controlling excess sebum! 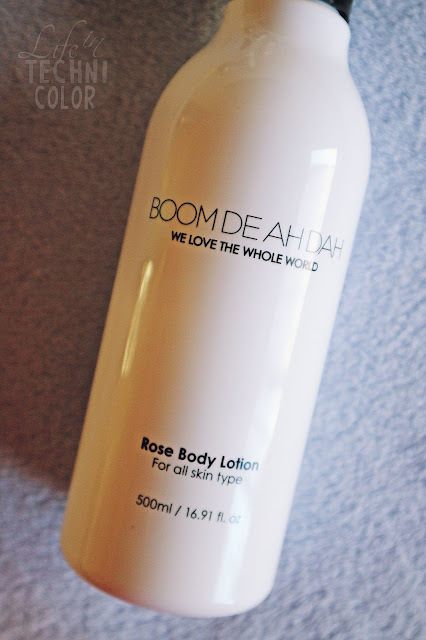 Keep your skin feeling rosy with Boom De Ah Dah's Rose Body Lotion! 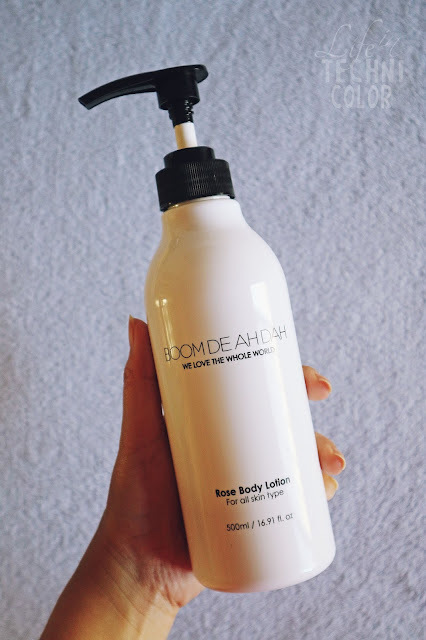 This lightweight yet deeply moisturizing formula contains real Damask rose extract that gives it both its hydration abilities and delightful smell. We love pampering our skin with this right out of the shower, gently massaging and patting in for supple skin that's gently fragranced. I don't know about you but I love anything that smells like rose, and so does my sister! In fact, she liked this so much that I decided to give it to her instead. I'm going to be honest here. I only bought this one because it was at least six times cheaper than the Laneige Lip Sleeping Mask (Php 118 vs Php 740) and I wanted to compare the two. I'm still using Laneige's version now, but the Honey & Berry Lip Sleeping Mask currently has a rating of 4.5 out of 5 on Althea, so that's pretty good. 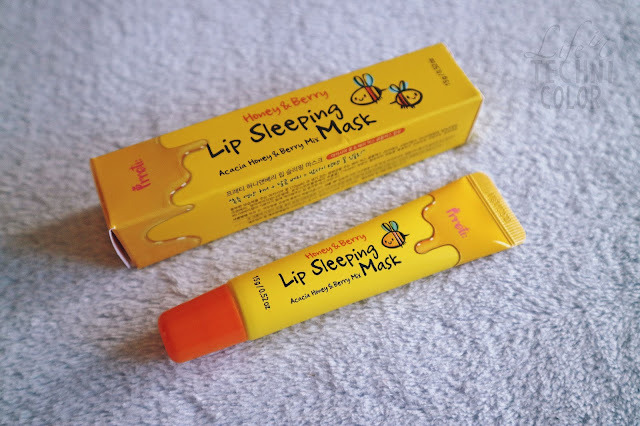 It is supposed to leave you with moisturized, honey-glow lips that stay nice and plump throughout the day. It smoothens rough textures, provides nutrition/gloss, and improves elasticity as well. I don't know about you, but having dry, chapped lips is something I struggle with on a daily basis, so I'm desperate for products that will give it more life and make it look kissable. Haha! I was initially worried that this would make my hair smell like vinegar because I've seen similar products in malls and they do not smell good! Surprisingly, it's really fruity and sweet, and quite affordable, too, at Php 350! 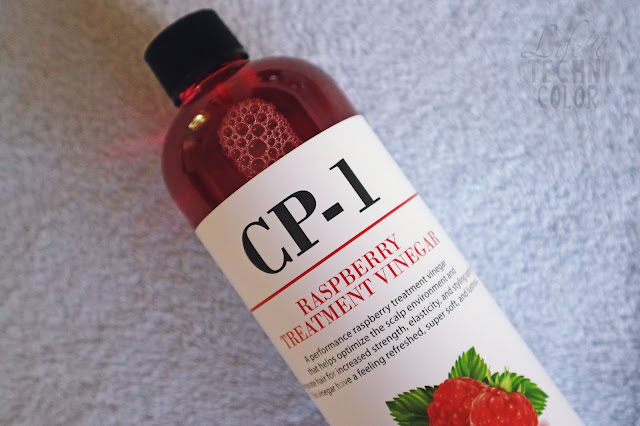 The raspberry vinegar extract purifies the scalp, peppermint leaf extract to cool and refresh it, and olive oil to deeply moisturize and protect the hair from dehydration. It's different from conditioners we're used to using, but I'm definitely open to trying this one.